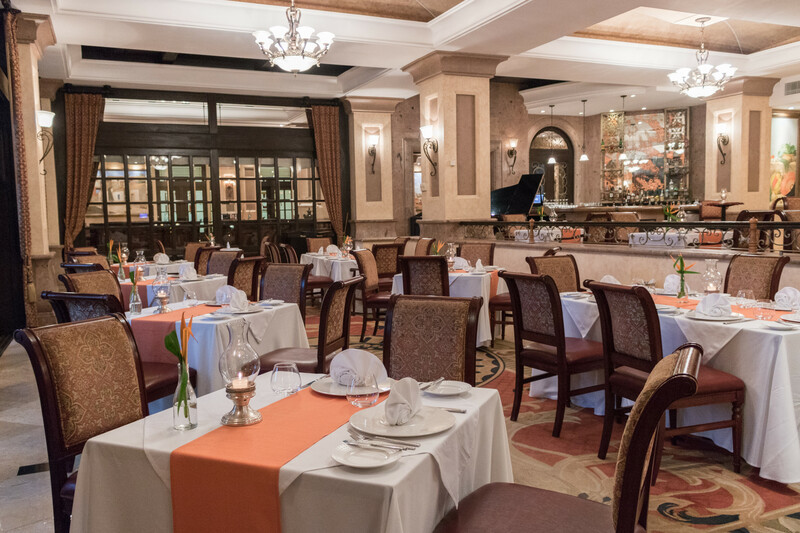 Take your pick of indoor or outdoor dining at La Casona, our Mexican eclectic steakhouse with its variety of flavors and extensive selection of steak specials and Prime Cuts such as Kobe beef and the New York Strip. It is also known for its wide variety of eggs benedict for breakfast. 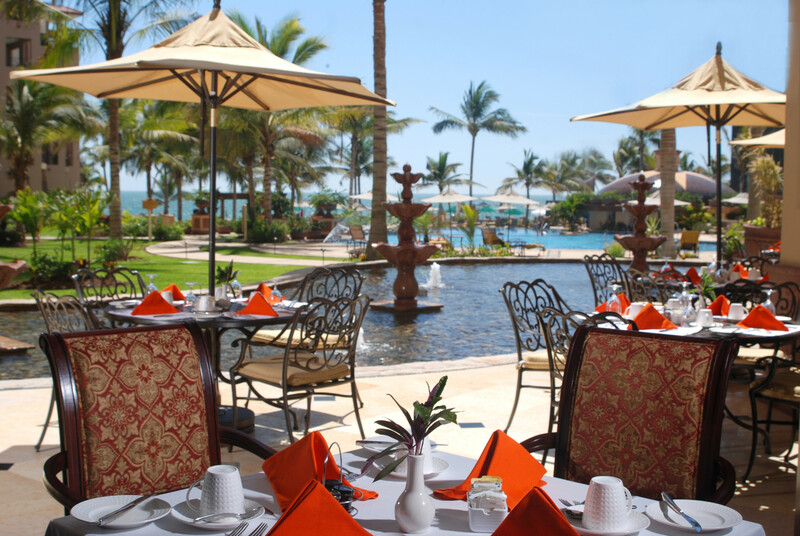 If that's not all, the restaurant lays claim to some of the best seats in the house: The breathtaking scenery of Banderas Bay stretches beyond our beautiful fountains and grounds. 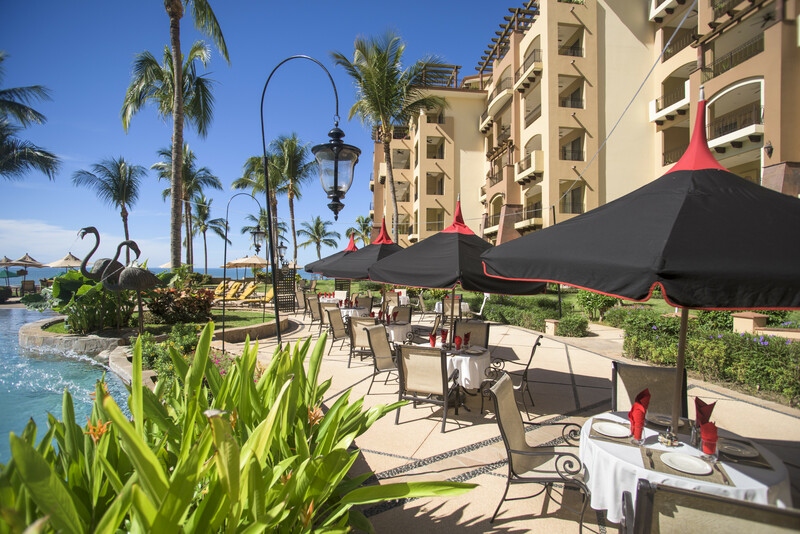 Breakfast: 7:00 a.m. to 1:00 p.m.
La Parrilla Restaurant offers casual poolside dining with a choice of burgers, sandwiches, wraps, Mexican ceviches and seafood specialties. The seafood market fare is a popular option for dinner (seasonal). Open 12:00 p.m. to 5:00 p.m.